It has been one year since the events of Season I. Emily Steel, still a young and inexperienced vampire, struggles to deal with her new existence, feeling homesick and distant from the life she has lost. Her only companion is an undead werewolf. Where once she feared vampires, Emily now fears the uncertainty of an unlife she doesn’t fully understand, and the hunger for the blood of the living which cannot be denied. Despite her vampiric urges, Emily finds herself with feelings for a mortal. Though he too has feelings for her, Emily knows it is but a matter of time before he realizes what she is… a monster. Yet there are other forces gathering. Dark shadows move across the night sky. Vampires are disappearing. A hunter has arrived, and Emily is his target. 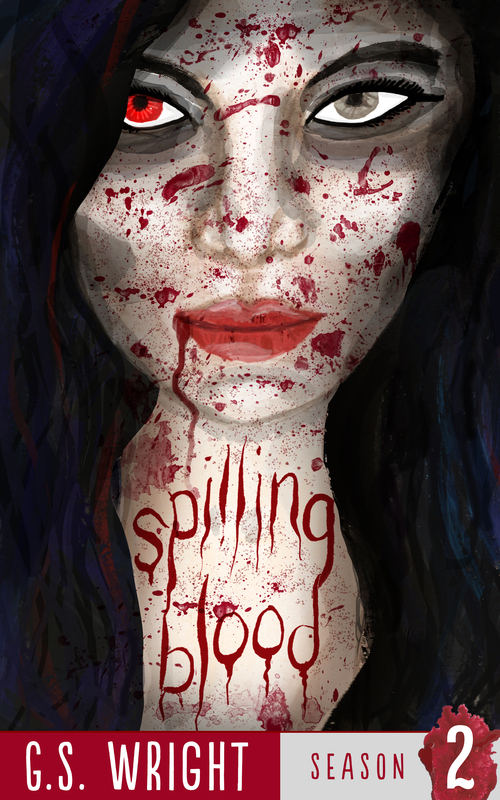 This book collects Episodes 5 through 10 of the Spilling Blood serial in one complete novel.